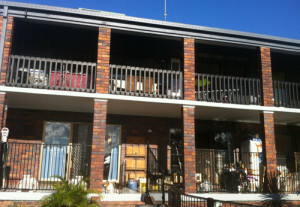 Below examples show before and after shots of a recent installation completed in 1 DAY. This unique awning/blind system was designed and made for the Australian lifestyle and climate by an Australian. No fuss, no tangles, no rust and EASY TO USE. This system offers temperature control, keeping inside cooler in summer and warmer in winter, without losing any of your view or your outdoor/indoor living convenience. 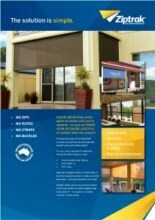 Easy use and maintenance system without ropes and tangles or rusting buckles and handles. 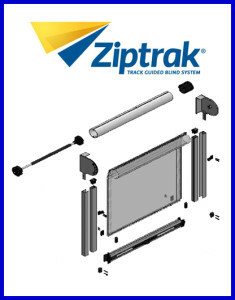 The unique track guide holds the blind taught while delivering an easy push and lock system, adjustable to any height. 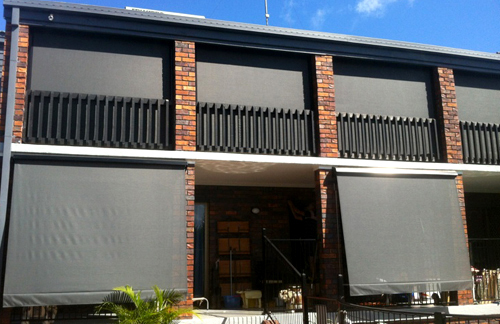 With several design choices, modern and comtemporary colour range, you can update your outdoor area in style. Click the image below for further information on the Ziptrak System.